Senate Democrats want to enlist a progressive firebrand as a member of their leadership: Elizabeth Warren. The incoming Senate minority leader, Harry Reid, is engaged in private talks with the Massachusetts freshman to create a special leadership post for the former Harvard professor, according to several people familiar with the matter. It’s unclear exactly what the new job would entail — but luring the populist liberal into leadership could inject fresh blood into a team reeling from significant midterm election losses. 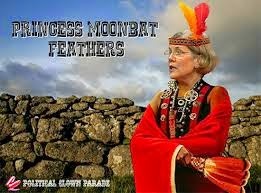 Adding Warren, Democrats say, would bring in a nationally known name who could help sharpen the Democratic message as it goes toe-to-toe with the new Senate Republican majority. The move would likely be viewed favorably by an increasingly liberal caucus.